10 Ways to Use Display Walls for Promotion. How do you use your display walls? If you simply use them as a backdrop at trade shows, then when the show is over, you pack them up and forget about them, you’re doing yourself a great disservice. Display walls are an extremely effective way to promote your business, convey professionalism, and spotlight products and services in all sorts of business settings, from a retail space to outdoor events to even on the road. Here, we’ll discuss ten ways to use display walls for promotion. From a new perspective on everyday use to creative ways to make the most of your walls, these ideas are bound to inspire some creative promotion opportunities for your business. Create an easy backdrop for trade shows. While it’s far from the only use for display walls, its effectiveness in this use is second to none, so it is worth exploring. Perhaps one of the most effective uses of display walls is as an exhibiting tool at trade shows. Display walls create the backdrop for your booth. Display walls can be used purely as backdrops, printed with your logo or company imagery; or, you could invest in a display wall that doubles up as a display unit, such as our unique Display Mate unit, which combines a display wall with handy shelving units built in, so that you can not only showcase your graphics but also display products or advertising materials right on the display. Create room dividers in a retail space. Display walls are in no way limited to trade show usage only. They can act as fantastic display units in a retail setting. They can be used to divide up space and create “rooms” of spaces of products, with specific display set-ups; or, they can be used to separate sections of your store. For instance, if you have a lifestyle/clothing brand, a wall such as the Fabric Curved Wall pictured above could be used as a fashionable divider between the clothing and “home” sections. When branded with your logo or company imagery, it makes for a great divider while still allowing for a seamless, cohesive look within the store. Make mockups in a showroom setting. In a showroom-type setting, display walls can allow you to create little “scenes” to showcase your products or highlight your services. Various display walls can be used to create little vignettes to divide a single space into many different selling sectors. For instance, say you run a sink and faucet company. You could use different display walls as backdrops to highlight different products or create mockup scenes so that customers could have all of the relevant information and see the product in a space. It’s a very effective way to sell! Make a built-in display unit for your office. A display wall can be used to create a dynamic office decoration in your place of business. You can purchase a wall specifically for this purpose, or you can use your trade show display walls for this purpose during the off-season. It helps create a great look in the office, which leaves employees feeling proud of their place of work. As a bonus, by displaying it in your office, it gives you a “testing ground” for when you want to stage possible trade show setups for your next selling season! 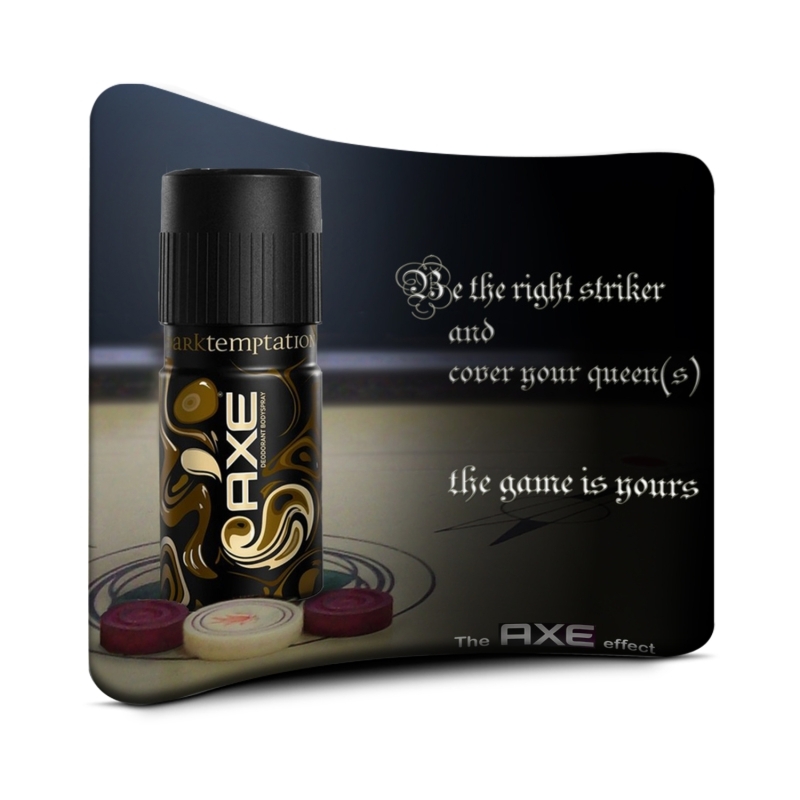 Create a compelling lobby display. In the lobby of your business’s office, a display wall, whether it’s a curved wall or an LED display, can create an easy yet professional display. This creates an instant air of professionalism for visitors who are waiting in the lobby, making your business seem like “the real deal”. Whether your business has been established for years or you’re just getting started, it’s a great way to project a positive and professional image for your company. Create an outdoor banner on demand. 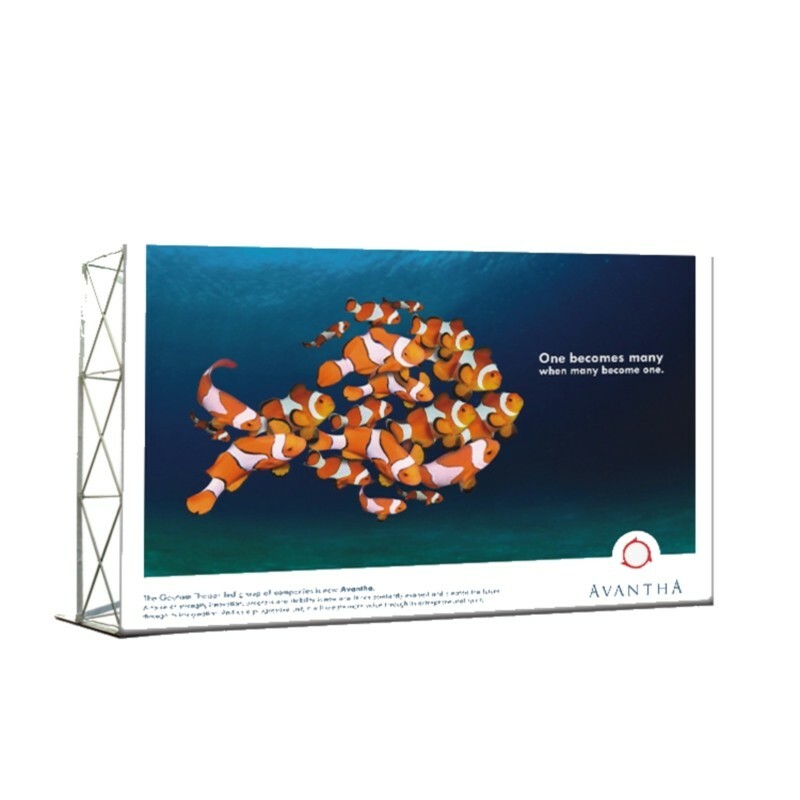 Some types of display walls can double as outdoor banners, such as the Fabsta Outdoor Display Sign. The scale of this sign is impressive, as it is significantly larger than a typical outdoor sign, which is usually around the size of a sandwich board; it will instantly grab attention. 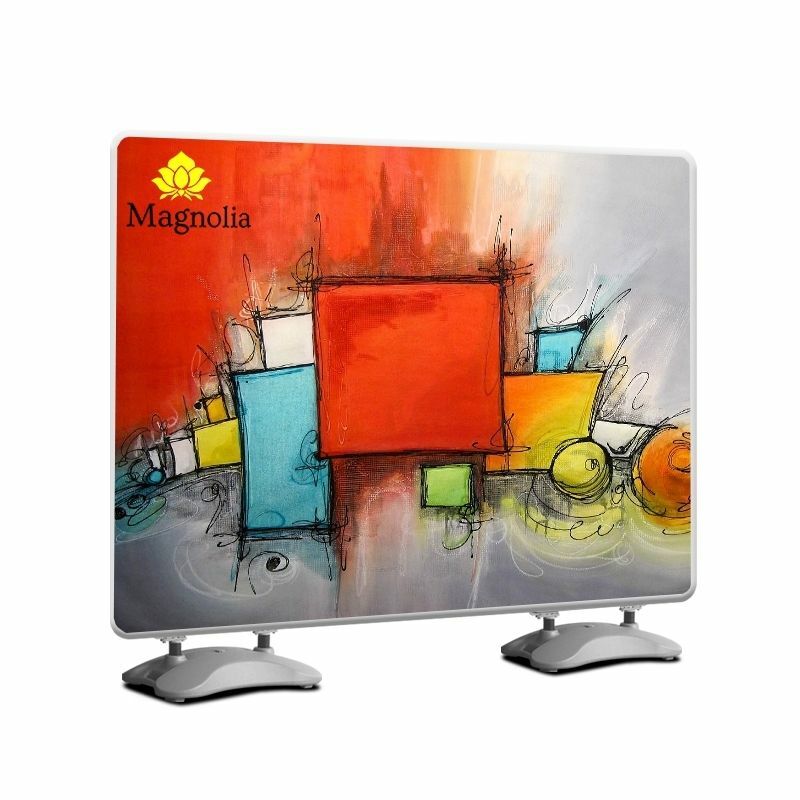 Yet the sturdy construction ensures that the display will stay put securely outdoors. Vibrant graphics make this a billboard which you can display whenever you want outside of your business! Use a collapsible wall to make anywhere a presentation space. Want to make a big impact at your next presentation? Use a collapsible wall to make your presentation pop and remain firmly planted in your customers’ or potential clients’ memories! 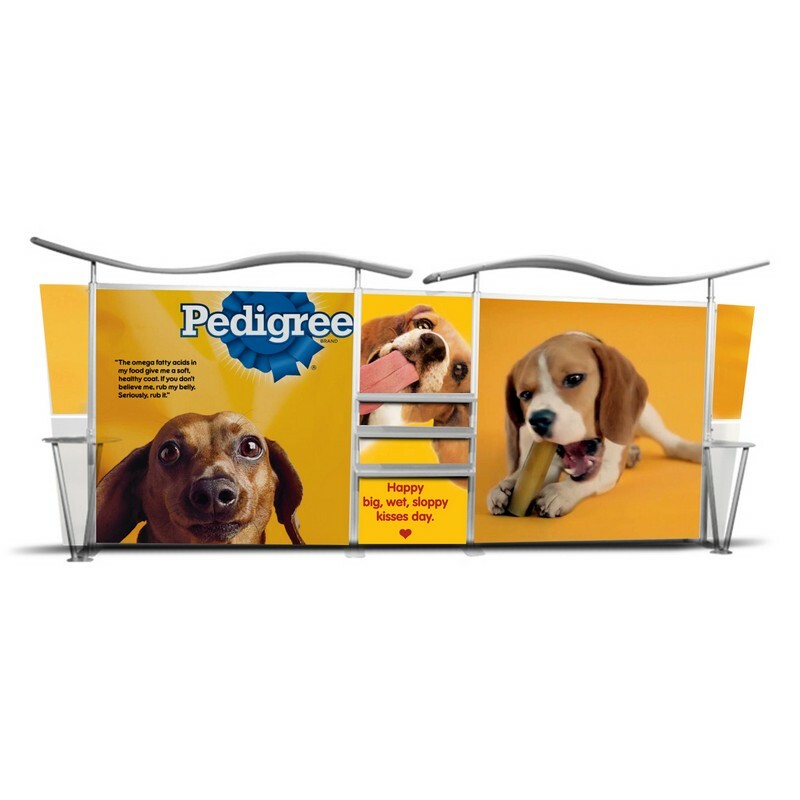 The easy construction and portability of our collapsible wall make it an ideal display to travel with so that you can make a big impact even when conducting business or presentations away from your actual business address. Make a mark at events. At outdoor events or festivals, a display wall can really help you make your mark. Even smaller signs like our banner stands can act as a mini “wall” to display your wares, or you can create a more tricked-out display like our Fabsta Outdoor Display Depending on the event, a display wall can be used in addition to or instead of an outdoor kit or tent. It’s a great way to create a different look and grab attention. Make your conference room look official. Your display wall can create a compelling office unit or promotional tool. But it can also be used to create a professional ambiance right in your own office’s conference room. A display wall backdrop in your office’s conference room sets a professional tone for employees, so it’s a great decision even if outside vendors or clients rarely come to your space. If they do come to your space, all the better; your display wall when installed in a conference room allows you to convey an air of professionalism that is second to none. Spotlight sales or special products. 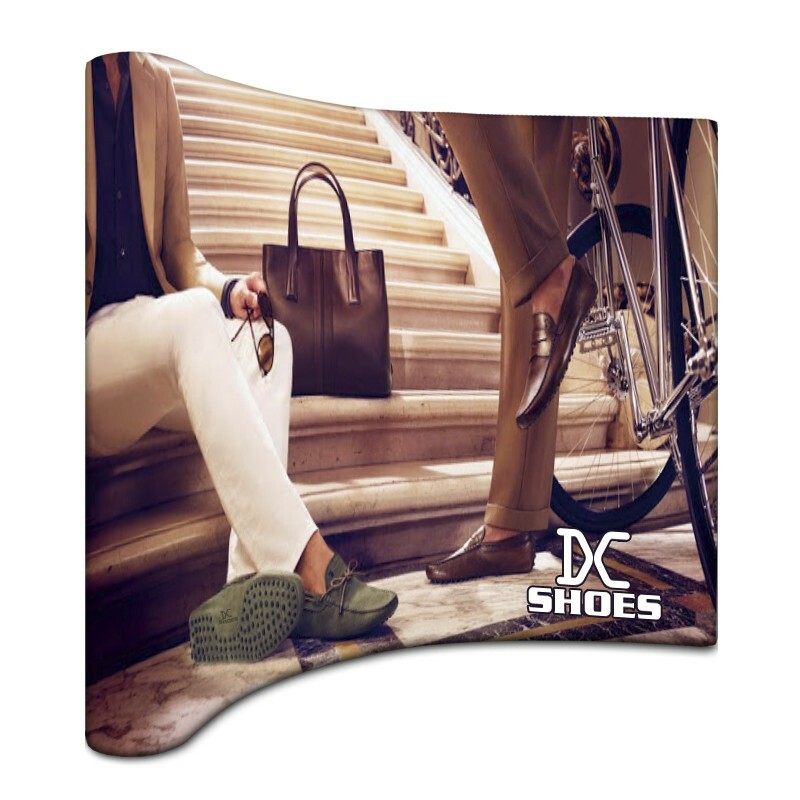 Regardless of where and how you display your display wall, it’s worth noting that they are spectacular as promotions for specific products or sales, as illustrated by the collapsible flat wall pictured above. Whether it’s outdoors, at a trade show, or in a retail showroom, if you display wall spotlights a specific product, service, or sale, you’re basically guaranteed that the item in question that you’re spotlighting will garner extra attention from the masses! Conclusion: Display walls are far from a “one trick pony” for businesses. Investing in a display wall offers many benefits for your business, on and off the trade show floor. From applications in retail settings to even conference rooms, display walls offer the chance to promote your business in creative yet highly effective ways. How could a display wall benefit your business?